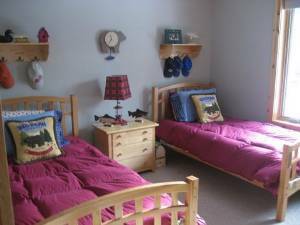 Bedding Information: 1 King, 1 Queen,1 Full, 3 Twins, 1 Futon, plus loft. and several seating areas by the lake. quality fenders for mooring boats safely. and the 100 Mile Sno Safari and more. dryer, pool table and foosball. with additional guests overnight please. Screen Porch, canoe available for use. The Cradon area has some of the best groomed snowmobile trails in Northern Wisconsin and can be accessed from the lake. Ski Brule is 45 minutes away and there are cross country skiing and hiking trails with in a few miles. 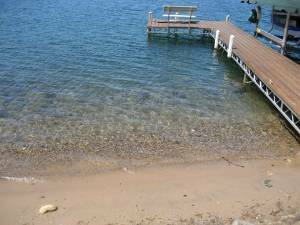 The Cottage faces West, so you and your family will enjoy sunshine on the beach late into the evening. 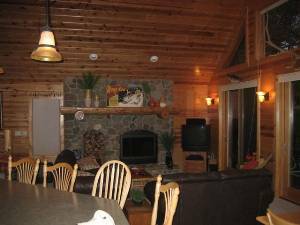 The Family room over looks the lake and has a large stone fireplace with a couch, love seat and chair. 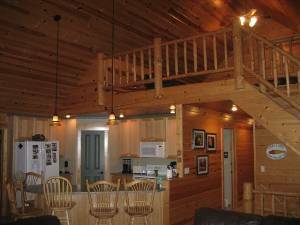 The kitchen is efficient and spacious and looks out over the deck and the lake. a large breakfast bar seats 5 comfortably. 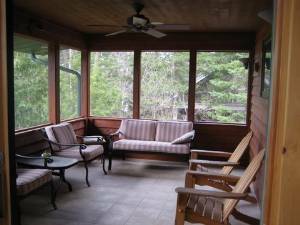 Large screen porch off the kitchen is great for morning coffee or evening conversations. 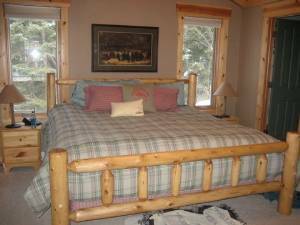 Master Bedroom is roomy and has a king size bed, it's own bath plus a laundry room attached. There are 3 bedrooms on the first floor and 1 on the lowere level plus a loft and a large rec room. 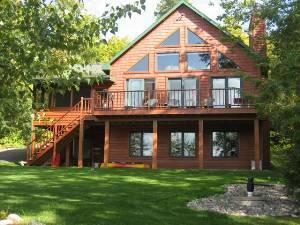 Crandon Race weeks require a minimum weekly rental rate of $3,500.00 regardless of length of stay. Deposit: $500.00 deposit to reserve the date. Deposit will be returned after an inspection upon vacating. 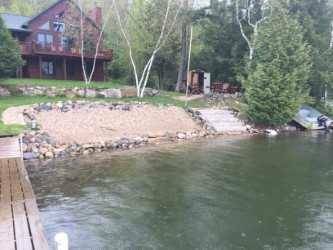 Other Fees: Cabin is only available to Families and adult couples over 30 unless otherwise approved.